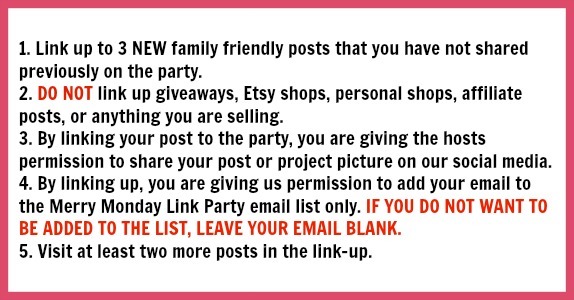 If you’re not familiar with link parties, they’re basically weekly online get-togethers where bloggers can share their newest creations for a little exposure, making new bloggy buddies, as well as to inspire and be inspired by others. Here are some of the parties I try and visit each week! So all you fellow bloggers, make sure you head on over here each week to share all of your latest posts. 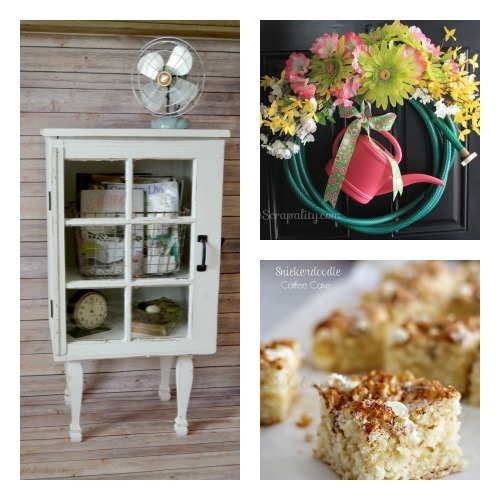 Crafts, DIY projects, recipes, tips/advice, parenting and kid stuff….pretty much everything goes! Welcome to the Merry Monday Link Party #51! Ash from Ash and Crafts. Please show Ash and all the hosts some bloggy love and visit them on their blogs and social media. Make sure you let them know you’re visiting from #MerryMonday! « FREE Watercolor ‘Best. Mom. Ever.’ Printable! Abstract Black and White Ink Blot Scarf Dyed with the Sun! Thanks, Christine, for featuring my craft organizer! And for co-hosting such a fun party!